The COMPTOIR AGRICOLE also provides organically grown hops..
Organic production was gradually introduced across 10 years in the region, and the leading varieties of our range are now grown organically over 18 hectares (44 acres) in order to meet the needs of our brewers. The portofolio of varieties of Organic production are now on 10 varieties including famous Alsace hops from breeding progam. The aims of this type of production are to respect natural balances, to respect bio-diversity and to produce high quality products while ensuring a respect for the environment and human safety. Our organic production methods are focused on using organic materials and biological pest control, and on avoiding the use of synthetic chemical and genetically modified products. Our manure is made exclusively from compost produced on our farms, unlike the manure used for conventional farming. 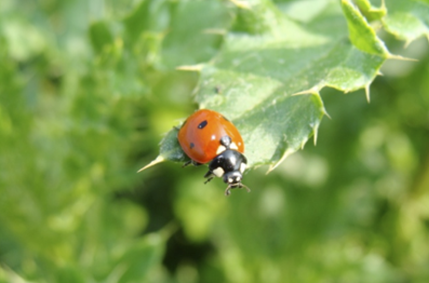 We encourage the development of natural predators to control insect pests. 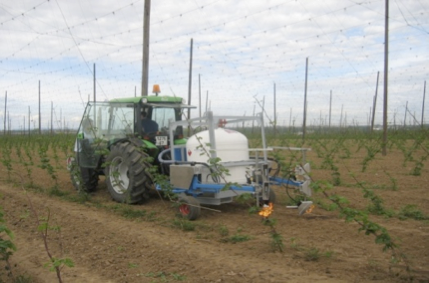 We use frequent manual checking to prevent plant diseases, far more frequently than conventional farming methods would recommend, and any products used to control biological pests are natural, plant and mineral extract-based products. The harvests from these organic methods are heavily influenced by climatic conditions, of course, and are less predictable than the harvests produced from conventional farming methods. Organic certification is granted, regulated and verified by the independent certification organization called Ecocert France.